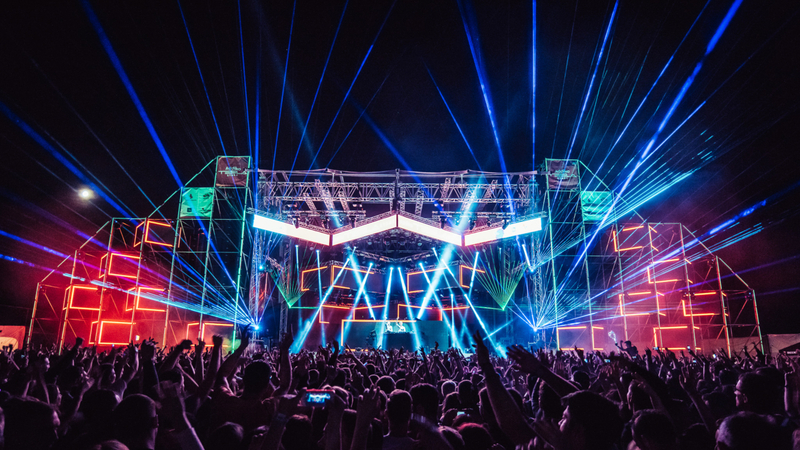 Sea Star Festival, nominated for the Best European Festival, will have its third edition from May 24 to 25, 2019 in the Stella Maris lagoon in Umag, Croatia. More than 80 thousand visitors and numerous music superstars have participated to establish the festival as one of the most important in the Mediterranean, and in 2019 the bar will be raised like never before! The 2+2 festival formula has proven to be a winning combo in the first two seasons, so Friday the 24th and Saturday the 25th of May will see the Sea Star Festival working at full capacity, with Thursday the 23rd reserved for the Welcome party, and Sunday morning of the 26th for the Closing party. Tickets will go on sale on Wednesday, December 12, noon sharp, and the festival tickets arrive at the special offer with up to 40% off! All tickets will be available through Sea Star festival website. The first two Sea Star editions have charmed the numerous audience and the international and regional performers who have talked up the quality and vibe of the festival, stunning Croatian coast, as well as the hospitality. Last year’s edition brought many improvements among which the new looks of Addiko Tesla Stage was certainly the most spectacular. It was the largest stage ever set in this part of Croatia, and it dominated the beautiful lagoon where the festival is set. The Stella Maris complex already saw more than 80,000 visitors who enjoyed the unforgettable performances of the acclaimed international and local music stars, such as The Prodigy, Robin Schulz, Fatboy Slim, Dimitri Vegas & Like Mike, Hurts, Paul Kalkbrenner, Paul Van Dyk, Pendulum, Dubioza Kolektiv, Kiša metaka, Nipplepeople, Krankšvester and Tram 11. The success of last year’s edition resulted in the nomination for the Best Medium-Sized Festival, i.e. the best festival up to 40,000 visitors at the European Festival Awards! Sea Star’s success fits in perfectly with the success of all other festivals from Exit’s family which earned eight nominations in total. EXIT Festival adds Greta Van Fleet, Phil Anselmo and many more to line-up lead by The Cure! Fatboy Slim to headline Sea Dance Festival at Jaz Beach! British media suggest Exit adventure as the perfect summer holiday! The Prodigy: Exit is our favorite festival, we love Serbia!